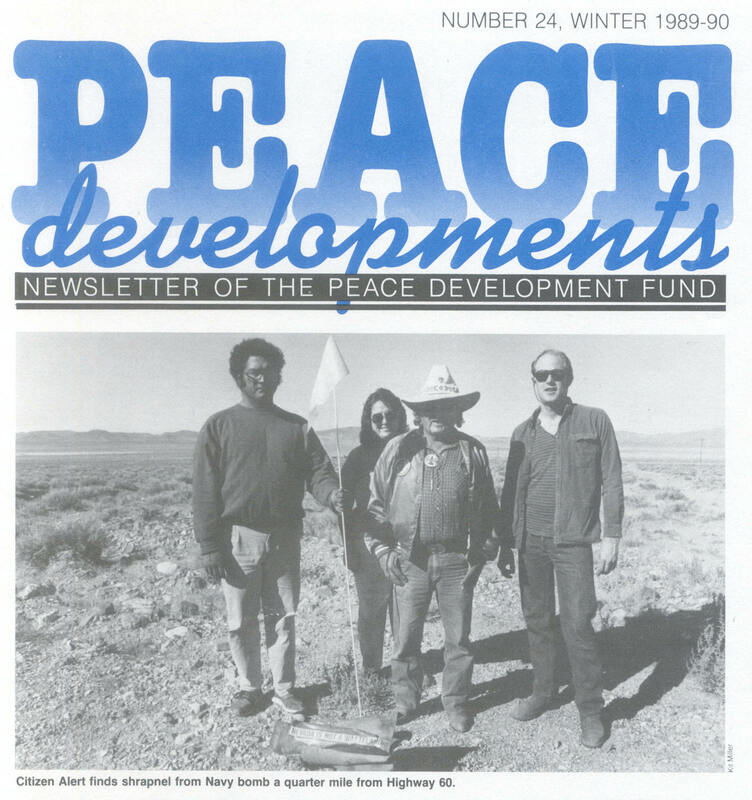 The Peace Development Fund history blog moves on now from a 30 year reflection of how the past has affected where PDF and the peace and social justice movements are today, to our 31st year and a focus forward. Like any business, we have had our ups and downs. Operating with no endowment, each year we must raise the necessary funds to make grants and support grassroots communities. Nothing has dimmed the “fierce commitment” The Boston Globe ascribed to PDF in 1988. If anything, we are only more determined to continue providing grants, training and other vital resources necessary to grassroots communities working on peaceful conflict resolution, human rights and environmental sustainability in the U.S.
AMHERST – Across the United States, hundreds of grass-roots political organizations are working on peace and justice issues ranging from the prevention of nuclear war to maintaining political stability in Central America. Among the things these groups have in common is that they generally work with a fierce commitment in their community to influence thinking on an issue of international significance. According to the movement, these groups act locally and think globally. And they usually do it on a shoestring budget with little guidance or expertise in organizational skills. The Amherst-based Peace Development Fund has been working since 1981 to change that by providing funding, organizational training and recognition to community-based groups. Through its work, the fund has become well known to community political groups throughout the United States and has built itself into the only national source of funding and advice for many of these groups. “Before there was the Peace Development Fund, there was no single voice to advocate for peace groups,” said Meg Gage, executive director and cofounder of the fund. Since its inception, the fund has given about $2 million to more than 400 groups in all 50 states and watched its annual budget grow from $130,000 to $1.6 million for the coming fiscal year. It also sponsors training workshops for political activists. Recently, the fund presented the first Grassroots Peace Award to Citizen Alert of Reno, Nevada, a group that promotes public participation in nuclear, environmental and military matters. It is hoped that the award can become a yearly alternative peace prize for small political organizations. According to Gage, one thing most grass-roots political organizations have in common is that they do not like to talk about money. “A lot of these people would much rather talk about weapon systems and politics” than budget planning and fund-raising strategy, Gage said. But by not talking about those practical matters, many groups can work themselves right out of existence, she said. “The feeling [when we started the fund] was that what a lot of groups needed was funding,” Gage said. Soon it became clear that just providing money was not enough and that training in organization building was crucial to make money more effective. “I would ask a group what their budget was and they’d way ‘It depends on how much we raise.’” Gage said. Trainer Randy Kehler said the training program that grew out of that realization is “an adaption on what you’d find in a workshop for a small business.” While the issues covered focus on budget and fund-raising planning, training sessions also cover organizational development issues, such as how to best locate and train new staff, and how to do more effective outreach work in the community. 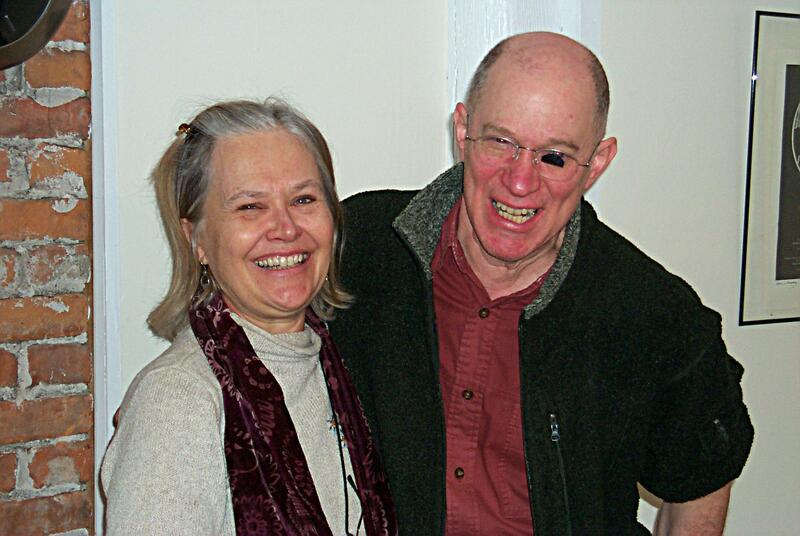 The fund’s work does pay off in tangible ways, according to Jean Weiss, fund-raising coordinator for the New England Central America Network in Cambridge, a group that has received funds and training. The fund is “very involved with the groups that they give money to. It’s a model we’ve adopted from them,” Weiss said. The Central America network has grown from a string of 30 community organizations in 1983 to about 200 today. A $3,000 grant from the Peace Development Fund last year allowed the network to begin its own training program for other Central America groups. According to the Peace Development Fund, grants are given to carefully screened organizations for specific projects. “This is the best way to support [peace groups] other than my personal contribution,” said Arthur Obermayer, chief executive of Moleculon Inc., a Cambridge medical technology firm. Comments : Comments Off on Still Open for Business! Time for Another Great March? 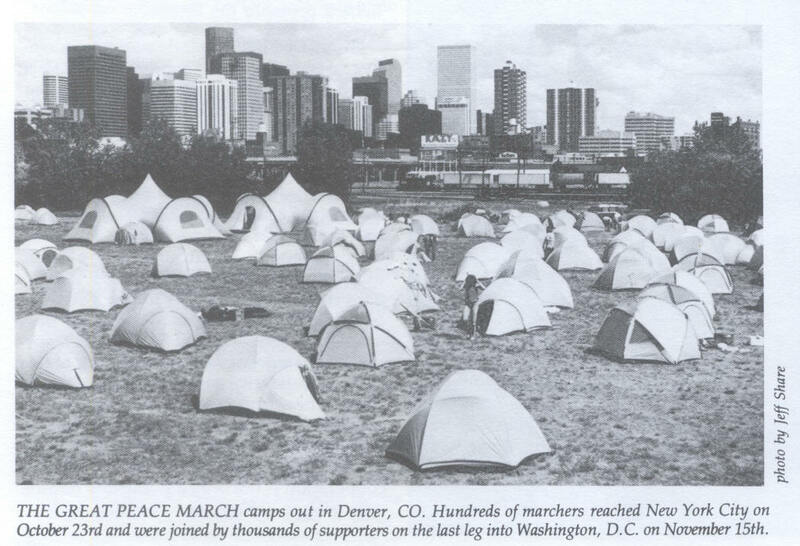 The Occupy Wall Street movement spreading across the country reminds us of other movements when ordinary people—like the “diverse bunch” who organized to create a non-violent focus for positive change—embarked on the Great Peace March for Global Nuclear Disarmament from California to Washington, DC. 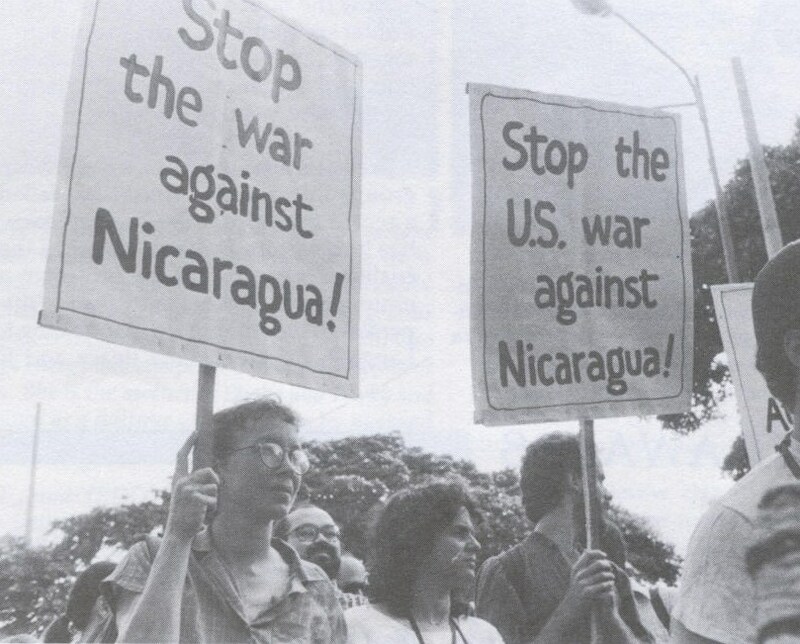 In 1986, the Peace Development Fund supported the marchers who, despite loose organization and trying circumstances, stood up to say “enough” to war and make their voices heard. 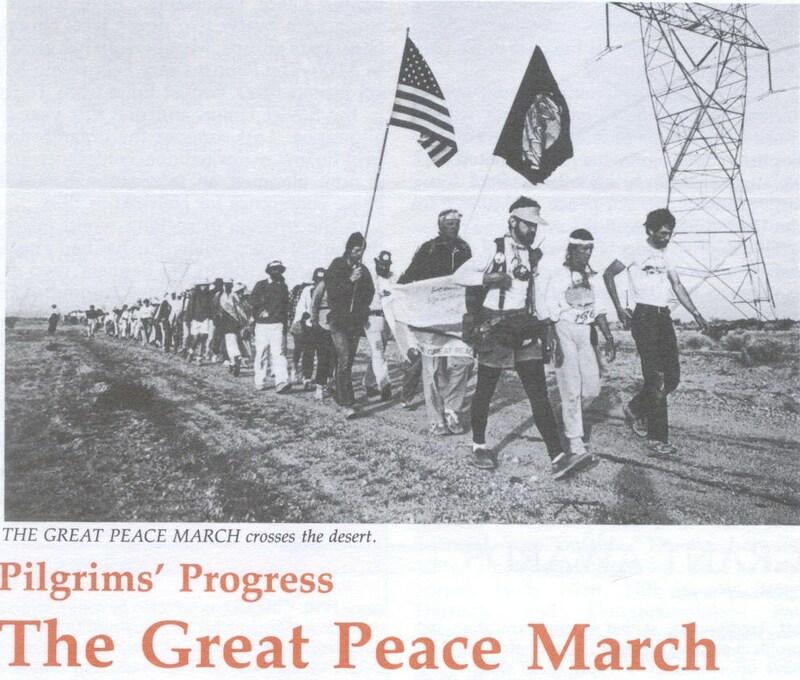 The Great Peace March nearly fell apart as it moved from the west coast eastward, and there are certainly a few lessons to learn from this by Occupy Wall Street. But like Occupy Wall Street, the Great Peace March gathered momentum. Now Occupy Wall Street is changing the terms of the public debate, from despair that the financial world is stacked against Main Street to active concern about local jobs, education and the environment. Just as the Great Peace March entered people’s collective consciousness as they marched forward, Occupy Wall Street has the potential to mobilize thousands demanding jobs for all and civil rights. Perhaps it’s time for another great march. “Sure, we’re a diverse bunch,” says Larry Heiss, camp doctor for the Great Peace March. “We’ve got kids and septuagenarians, professional people and counter-culture youth, straight and gay, the angry and the serene, the ministers and agnostics, politically left and politically right, people form 50 states and eleven countries. But we’ve got one important thing in common: we are all committed to global nuclear disarmament. 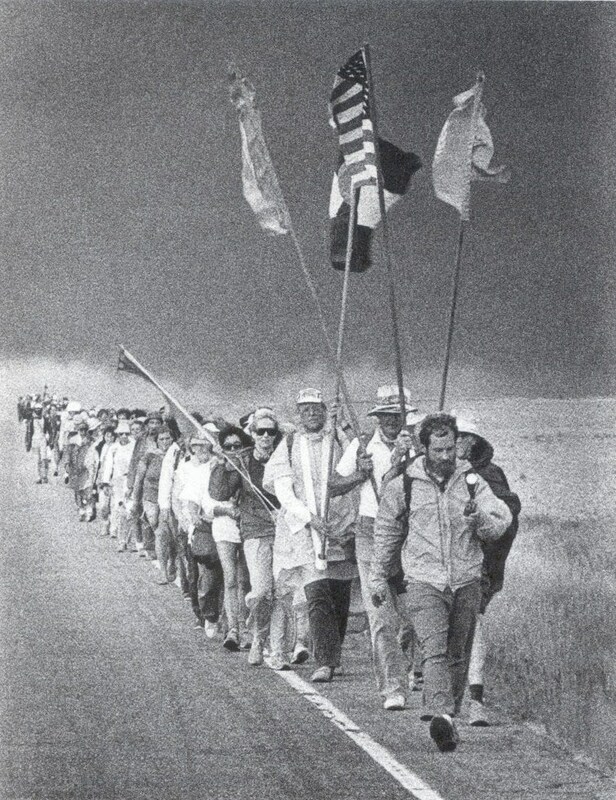 As one of the core group that has been on the 3,200-mile peace walk across the U.S.A. since its start, Larry has seen the whole panorama: from the shaky send-off in Los Angeles on the first of March, through the breakdown of the original ProPeace organization two weeks later, leaving 1,200 walkers stranded on the edge of the Mojave Desert; through a determined but wrenching struggled to reorganized, raise money, and keep going; across deserts and mountains and plains to Omaha at an incredible 20 to 25 miles a day in order to catch up to the original schedule. The marchers had faced staggering problems in their forming their new organization. All their equipment, including support vehicles, had been repossessed. They wouldn’t be allowed to march without at least portable toilets (which the Peace Development Fund was instrumental in getting for them). Everything has to be started again from scratch, and by a group with no experience. In order to get the march back on the road, the marchers began to scavenge and resuscitate ancient junkyard trucks. Soldiers (in civilian clothes) from nearby military bases turned up to help with that thankless job. In gratitude for the outpouring of help from Barstow, the marchers painted the town’s church inferiors. A newly-formed advance team had to start contacting peace groups and town officials in the areas ahead, to arrange for camp sites, permits, water, waste disposal, peace rallies, and speaking engagements. It helped when town officials learned that the marchers were cleaning up the roadsides as they walked. Omaha seemed like a turning point. There, they were back on schedule and could slow their pace to a mere 15 miles a day. There they were halfway to their final goal, Washington, DC. Expenses are $7 a day per marcher – $4,000 a day total – for food, insurance, payments on the support vehicles, campsite permits, publicity, gas. The high cost of marching has sometimes meant turning down people who would like to join in. In spite of that, the number had grown from 500 to 650 by Omaha, with hopes that as the new fundraising canvas bring in additional support, the group can also expand. By the time the group gets to New York City, in mid-October, the march almost certainly will be considerably larger. And optimism runs high when they talk about arriving in Washington, DC for a mid-November final rally. But despite the occasional friction, there’s a lot of camaraderie, creativity, energy, and humor. Musicians, comics, and clowns have teamed up within the marching community to keep spirits high. There is also support, both moral and financial, from “outside.” The marchers are visited by national celebrities, such as Pete Seeger, Holly Near, Hill Street’s Betty Thomas, and Congresswoman Pat Schroeder of Colorado. 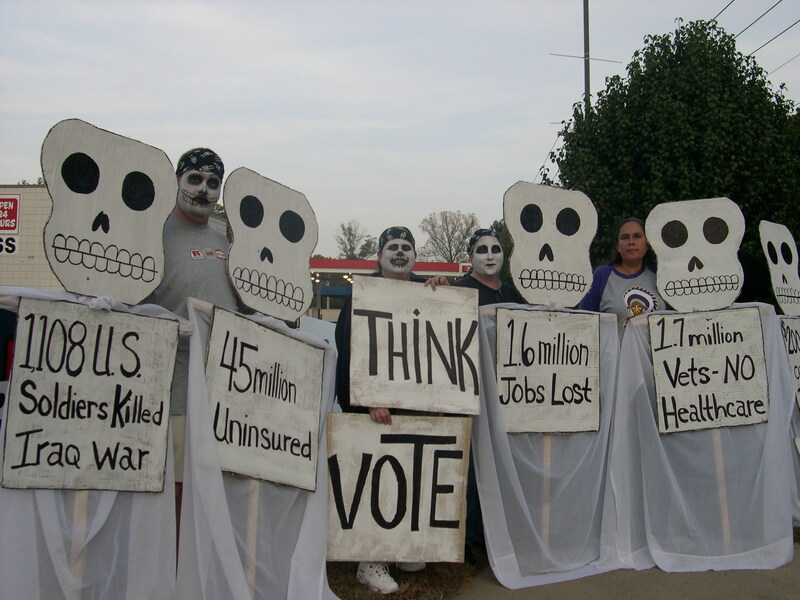 There are rallies and house parties, and marchers-for-a-day who join them in every city. It’s an adventure for everyone, perhaps especially for the 40 children on the march, some of whom have become experienced speakers already. From one-year-old Alexa to 8-year-old Franklin Folsom, everyone counts. 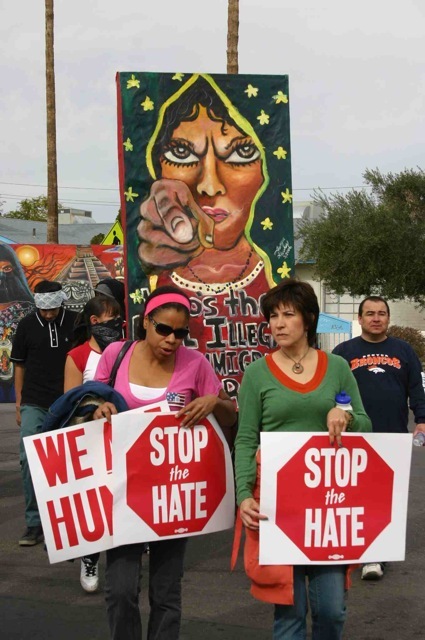 This winter in El Paso, Texas, the Peace Development Fund took a bold and new step in our work to support alliance building across the U.S. – Mexico border. On December 5-7, PDF hosted a weekend-long training in Strategic Communications, in Spanish, for more than 30 people from nine organizations: four based in Mexico and five from the United States. The training was designed and provided by the Mexico City-based organization Incide, which, like all organizations invited to the training, is also a PDF grantee. Incide – whose name translates to “Incite” – is driven by the idea that communication has the power to create deep transformation in our everyday cultures. Incide trainers work with grassroots organizations to share communication and strategic thinking tools, in order to enable people to exercise what Incide believes is a fundamental right to communicate and be heard. This workshop was facilitated by trainer Cecilia Sanchez with the support of Gabriela Sanchez. 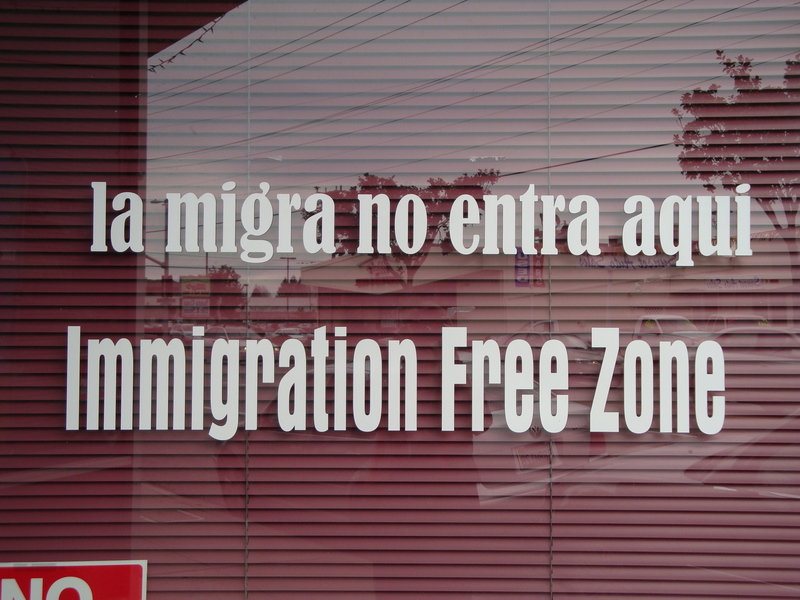 The fundamental problems brought on by economic globalization have now been compounded by the political climate of the War on Terrorism – the loss of civil liberties for immigrants, an increase in the militarization of the border, and the favorable political climate for future trade policies (such as the Free Trade Area of the Americas and Plan Puebla Panama) that will affect communities throughout the hemisphere. 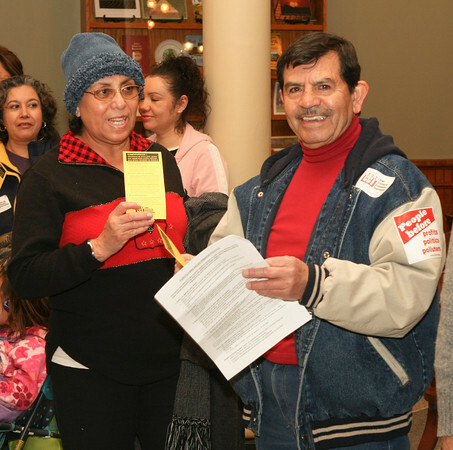 Now is clearly a critical time to provide resources that strengthen the organizing of Mexican and Mexican immigrant communities who are working to ensure their means of survival. During the training, participants divided into strategy groups that allowed for an in-depth look at pressing issues. 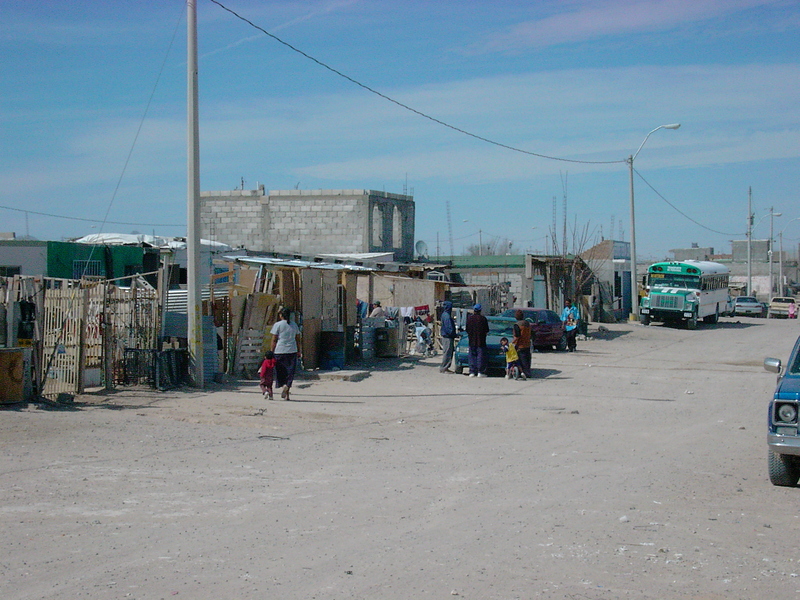 One focused on the government’s refusal to investigate a pattern of brutal murders against an estimated 25 0 young women over the past eight years in Ciudad Juarez, Chihuahua (the sprawling city that mirrors El Paso on the Mexican side of the border). Another group brought together organizations to share experiences and strategies surrounding the militarization affecting Mexican immigrants in the U.S. border region and indigenous communities in southeast Mexico.